Then tragedy struck in the form of a global cataclysm. They were not expecting it. The disaster was so terrible that most humans perished and many animal species became extinct. Those humans that did survive were forced to live like animals while the Earth recovered. Memories faded, and knowledge disappeared. Society began again from scratch, returning to pagan beliefs and simplistic lives. But there were some that survived who managed to remember their past, that retained some of the advanced techniques and ideas that others had forgotten - and had the foresight and dedication to warn future generations of the next cataclysm. Knowing that it would be more than 10,000 years before the cataclysm recurred, they had to allow for certain possibilities: that in the year 2012 we could be speaking a brand new language, following unpredictable religions and using any sort of numbering system. If they were to leave us clues to help us survive, those clues would need to be big and solid enough to last 10,000 years; and coded so as to be unambiguous - regardless of the culture that interpreted them. Some modern humans, of various backgrounds and disciplines, are working towards deciphering what they have left us. We are on the verge of cloning humans, of aping God. Regardless of ethics and laws, it will happen - for whenever scientists have had the ability to do something, they haven't been able to resist - it is in their nature. On the other side of the coin, when there are not enough clues to solve a puzzle, when none of their predecessors have made quality in-roads, they have rattled off stock answers and moved on to something easier. These unsolved mysteries are typically of a historical nature - our scientists have been unable to observe the processes in real-time, and have chosen not to make guesses. These tasks have by default been given to the independent researchers, the untrained pseudo-scientists, the men and women with imagination, verve and daring. The rebels. This book pulls together a number of these mysteries. They all relate to the potential for a global cataclysm that may be just around the corner. Most of the topics are much debated, with radicals and the establishment taking opposing views. Is the Sphinx 5,000 or 12,000 years old? Did the biblical flood really happen? And if it did was it regional or global? Did modern man once live in the ocean? How was it that separate ancient societies all had the ability to shift giant blocks and why did they all build pyramids and underground chambers? Is a race of "mysterious elders" involved in our DNA, and our destiny? We shall look at ideas that have been endorsed by great thinkers, yet are ignored by the esteemed scholars of today. The idea of a pole shift had the agreement of Einstein; the existence of Atlantis was described by Plato; global cataclysms were hinted at by Darwin. And we will see evidence that orthodox science has chosen to ignore, evidence that fails to fit their precious paradigms. Artifacts showing human civilizations existing 100,000 or even millions of years ago. Proof of a cataclysmic pole-shift 12,000 years ago. And evidence that is strangely missing, such as the missing links of evolution. Helping bind these topics together I will present some new information concerning mythical creatures and cosmic rays. And I shall explain how a global network of monuments was created for a common purpose - to warn us of our potential extinction. Hopefully these ideas will spark enough debate so that the things we treasure, and the species that we are, continue for a long, long time. The Maya civilization inhabited a region encompassing southern Mexico, Guatemala, El Salvador, Belize & western Honduras, and flourished between the third and tenth centuries AD, but by 1200 AD their society had collapsed for reasons we can only guess at. When the Spanish conquistadors arrived, descendants still occupied the area, and still spoke the Mayan language, but were unaware of the cities their forefathers had created. It wasn't until the late 18th century that explorers first investigated the dense Guatemalan rainforest and came across plazas, monoliths, temples and pyramids, each decorated with pictures and hieroglyphs. The ancient Maya had been keeping historical records - using a script which mixed ideographic and phonetic elements. Some of their writing still exists on stelae (stone monuments) that recount civil events and record their calendric and astronomical knowledge. Diego de Landa was a Spanish priest who visited Mexico on a charitable mission, became the Franciscan provincial of Yucatán in 1561 and is infamous for his destruction of priceless Maya documents and artifacts. Although Landa was very interested in the Mayan culture, he abhorred certain aspects of their practices, particularly human sacrifice. In July 1562, when evidence of human sacrifice was found in a cave containing sacred Maya statues, a bout of religious self-righteousness saw Landa order the destruction of five thousand idols. He decided that their books were also the devil's work and saw to it that they were burned, with only three books surviving. Consequently the majority of Mayan knowledge and history was lost. Yet despite his actions, we are also indebted to Landa for his acute and intelligent opus on Mayan life and religion, Relación de las cosas de Yucatán (1566), which remains the classical text on Mayan civilization. This book, which was not printed until 1864, provided a phonetic alphabet that made it possible to decipher roughly one-third of the remaining Mayan hieroglyphs. The most important of the surviving books was what is now called the Dresden Codex, named after the city where it was lodged. It is a strange book, inscribed with hieroglyphs, which no one understood until 1880. At that time Ernst Förstemann, a German scholar who worked at the same Dresden library, managed to crack the code of the Mayan calendar making it possible for other academics to translate the many dated inscriptions found on buildings, stelae and other ancient Mayan artifacts. He discovered that the Codex contained detailed astrological tables, which calculated the year to be 365.2420 days long, more accurate than the Julian calendar that we use today. The tables were used exclusively by the Mayan astronomers to predict the solstices and equinoxes, the path of the planets in our solar system, the cycles of Venus and Mars, and other celestial phenomena. Other information we have today has been gleaned from the Popol Vuh and Chilam Balam - books written just after the Spanish arrived. The knowledge found in these books and codices, combined with the uncovering of mysterious pyramids, demonstrate that the Maya had knowledge to rival the Greeks and Egyptians. The life of the Maya revolved around the concept of time. Priests were consulted on civil, agricultural and religious matters, and their advice would be derived from readings of the sacred calendars. Time was of such importance that children were even named after the date on which they were born. Maya math uses only three symbols - a shell-shaped glyph for zero, a dot for one and a bar for five to represent units from zero to 19. For instance, the number 13 was represented as three dots and two bars. Zero was an advanced concept in those days, something that the Romans were not aware of. Yet the Maya were comfortable enough with it to use a shell as its symbol, a tangible object representing an abstract concept. The Maya also used metrical calculation and place numeration, which were very clever for a culture that didn't use the wheel! Although they had many calendars, they marked the passage of time with three cycles that ran in parallel. The first is the scared calendar known as the Tzolkin. It combines the numbers from 1 through 13 with a sequence of 20 day-names. It works in a similar manner to our named days of the week, and their date within each month. So you might have 5-Chikchan (like our Sunday the 5th) followed by 6-Kimi (as we would have Monday the 6th). After 260 days the same number/name combination will re-occur, and the calendar starts anew. Their use of the vigesimal (base 20) numbering system probably relates to fingers and toes, whereas the 13 nicely fits the growth phase of the moon which isn't visible when new and appears full for two days on end, thus appearing to have a 13 day growth cycle. Alternatively, the length of the Tzolkin may be related to the human gestation period of nine months (273 days). It has been suggested that 260 days is the time between a woman suspecting her pregnancy (she doesn't menstruate) and when she gives birth. The second is the agricultural calendar known as the Haab, or vague year. It consists of 18 months, each of 20 days. An addition of a five-day month (a period of apprehension and bad luck named Uayeb) gives us 365 days, an approximation of a year. This calendar's primary purpose was to keep track of the seasons, for seasonal and solar events would occur on roughly the same day of each year. The Maya were aware of the annual quarter day discrepancy, but it is not known if they ever did anything about it. These two independently running calendars each begin again every 260 and 360+5 days. "The Tzolkin and the Haab ran concurrently, like intermeshed cog-wheels, and to return to any given date, 52 years, or 18,980 days, would have to elapse (because both 365 x 52 and 260 x 73 = 18,980). In other words, the Tzolkin would make 73 revolutions and the Haab 52, so that every 52 calendar years of 365 days one would return to the same date. A complete date in this 52-year cycle might be, for example, 2 1k 0 Pop (2 1k being the position of the day in the Tzolkin, 0 Pop the position in the Haab). Fifty-two years would pass before another 2 1k 0 Pop date returned. It was expected that the world would end at the completion of a 52-year cycle. At this time, among the Mexica in the Valley of Mexico, all fires were extinguished, pregnant women were locked up lest they be turned into wild animals, children were pinched to keep them awake so that they would not turn into mice, and all pottery was broken in preparation for the end of the world. In the event the gods decided to grant man another 52 years of life on earth, however, a night time ceremony was held in which the populace followed the priests through the darkness over a causeway to the top of an old extinct volcano that rises abruptly from the floor of the basin of Mexico, known today as the Hill of the Star, the hill above Ixtapalapa. There, with all eyes on the stars, they awaited the passage of the Pleiades across the center of the heavens, which would announce the continuation of the world for another 52 years. When the precise moment came, a victim was quickly sacrificed by making a single gash in his chest and extracting the still palpitating heart. This is not unlike how the end of the last millennium may have felt for many Christians or doomsday cult followers. Our modern Western calendar was first introduced in Europe in 1582. It was based upon the Gregorian calendar, which calculated the Earth's orbit to take 365.25 days. This was 0.0003 of a day per year too much, but still exceptionally accurate for scientists living over 400 years ago. The Mayan calendars were derived from those of their predecessors, the Olmec, whose culture dates back at least 3,000 years. Without the instruments of 16th century Europe, these Central American locals managed to calculate a solar year of 365.2420 days, just 0.0002 of a day short. More accurate than the Europeans, and much earlier. A Mayan date utilizes three calendars. The third calendar, known as the "long count", is a continuous record of days that starts over every 5000 years or so. The current Long Count began in 3114 BC. And it will end very soon. The basic unit is the kin (day), which is the last component of the Long Count. The kin, tun, and katun are numbered from 0 to 19. The unial are numbered from 0 to 17. The baktun are numbered from 1 to 13. The Long Count is a great cycle of 13 baktuns (roughly 5,126 years), where the use of 13 may again represent the growth of the moon from new to full. The current cycle began on 13.0.0.0.0 4 Ahau 8 Cumku which correlates to Aug. 13, 3114 BC. In Mayan mythology each Long Count cycle is a world age in which the gods attempt to create pious and subservient creatures. The First Age began with the creation of the Earth, and it had upon it vegetation and living beings. Unfortunately, because they lacked speech, the birds and animals were unable to pay homage to the gods and were destroyed. In the Second and Third Ages the gods created humans of mud and then wood, but these also failed to please and were wiped out. We are currently in the Fourth and Final Age, the age of the modern, fully functional human. Is it possible that these Ages referred to evolutionary change? If they did, then what might occur when the current age finishes on December 21, 2012? Although they are not part of the Long Count, the Mayas had calculated larger time spans, some so long that only modern day scientists would ever use them, and suggesting that perhaps the ancient Maya were aware of something we have yet to discover for ourselves. This book uses a correlation between the Gregorian and Maya calendars known as the Goodman-Martinez-Thompson (GMT) correlation, which places the long count katun ending 11.16.0.0.0 13 Ahau 8 Xul on 14 November 1539 (Gregorian). Another less popular correlation has the Long Count ending two days later on Dec 23, 2012, and for our purposes makes a negligible difference. A further 50 or more different correlations have been calculated; some by non-academics, usually based on disputing which similar astronomical events occurred in which year. The speed of change is rapid. Population, computing power, speed of transport, the sheer amount of known information, and most other things that involve humans, are all increasing at an accelerating rate. The rate at which they are increasing is increasing. We are all part of it, with younger people thinking nothing of it, and the elderly commenting on it, but generally handling it okay. But if we were to transport King Arthur to modern-day New York he'd most probably pass out from trying to grasp what was happening. But can it stop, slow down or reverse. No, for that is not in our nature. Things will keep changing at a faster rate. Every 18 months the power of computers double. Soon they will be smarter than us, and we are already on the verge of cloning humans and close to using nanotechnology to create atomic size mini-machines. Maybe there will come a time when the rate of change will reach such a speed that change is all that will exist. Various fringe scientists have tried to calculate this point of infinity, giving us calculated dates ranging from 2010 to 2050. Dates that many of us will live to see. Perhaps the date is Dec 22, 2012. Ethnobotanists and fractal time experts Terrence and Dennis McKenna believe so, and they present their ideas in Invisible Landscape: Mind Hallucinogens and the I Ching (1993). 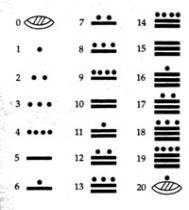 Their studies began with the I Ching, which is composed of 64 hexagrams, or six-line figures. It struck them that 6 x 64 = 384, which is exceptionally close to the number of days in 13 lunar months (29.5306 x 13 = 383.8978), and that maybe the I Ching was originally an ancient Chinese calendar. The McKenna brothers arrived at the 2012 end date by using fractals. Starting from a table of differences between one hexagram and the next, they developed a Mandelbrot fractal in which each level is 64 times greater then the one below it. They then laid this fractal pattern on top of a time scale. The peaks and troughs of the pattern relate to the level of connectedness or novelty in any span of time, whether it covers a day, millennia or even since the beginning of time. By matching the levels of the pattern with key periods in history, they determined it would fit best if the end of the time scale was December 22, 2012. This is the only point in which the level of novelty reaches its maximum, and everything that happens is new. Change feeds upon itself like nano-machines converting every atom in the universe into gold. The final 80 or so pages of their Invisible Landscape (1993) describe the complicated mathematics and methodology they employed. A base period of roughly 67 years was discovered (all calculations are rough, but not inaccurate). "Achievement of the zero state can be imagined to arrive in one of two forms. One is the dissolution of the cosmos in an actual cessation and unraveling of the natural laws, a literal apocalypse. On top of all this they state that they calculated the 2012 end date in the early 1970's, long before they had heard of the Mayan calendar. And to their credit, the original 1975 edition of The Invisible Landscape makes no mention of the Maya. If this is true, then it would be prudent to consider their result as much more than a coincidence, and to take their ideas seriously. Also fitting the model of increasing novelty and the 2012 end date is the idea that on a sub-conscious level humans can sense a great change approaching. Unsure of what exactly to expect, but nevertheless feeling uneasy, we are doing the best we can to "get everything done" while we still have time. A last minute desperate attempt to achieve the peak of our potential. And if we are able to somehow sense a disturbance ahead, maybe birds and animals will pick up on it as well. Maybe in December 2012 the non-human species will suddenly hush, as they have demonstrated prior to earthquakes. The Earth spins on an axis, with the northern end at the North Pole. The spinning action is like that of a top; and like a top the Earth wobbles as it spins - but very slowly, with one wobble taking approximately 25,800 years. This causes the location in space that the North Pole points at to gradually change. At present it points to Polaris, the North Star. In 12,000 years time it will be pointing close to Vega. As the pole star changes, so does the position in the sky of all the other stars, relative to our wobbly spinning Earth. Astro-archeaologists mention the precession of the equinoxes a lot, for it explains how ancient stone circles and pyramids have lost their former accuracy in pinpointing astronomical events. It can also help determine precisely when these monuments were built. Fractal geometry is often called "the geometry of nature." A fractal is geometric shape that is complex and detailed in structure at any level of magnification. Often fractals are self-similar- each small portion of the fractal can be viewed as a reduced-scale replica of the whole. Building fractals relies on a repeated formula. Below is one example of how a fractal "grows". And beside it is an example from nature - the leaves of the fern are the same shape as the branch, which itself is the same shape as the entire fern. In nature the depth of detail is limited; in mathematics the depth is infinite. A nanometer is one billionth of a meter (3 - 4 atoms wide). Nanotechnology is the creation of minute objects, with the ultimate goal of using individual atoms as building blocks. Some engineers dream of creating self-replicating nano-bots - tiny devices that create replicas of themselves by manipulating atoms. A much quoted worry is that someone will create self-replicating nanobots that refuse to stop - overnight the universe could contain nanobots and nothing else! The Mayan calendar and the fractal patterns of the McKenna brothers are only human constructs, descriptions of our journey through time. But out in our galaxy there is a giant wheel revolving - we are actually on a slow wobble and the stars are just appearing to revolve. This "precession of the equinoxes" takes 25,800 years to complete one cycle, and within this cycle we can observe conjunctions in the heavens between the stars and our solar system. They could tell when these dates were approaching by watching which stars were on the horizon at sunrise and sunset, and where they were relative to the sun. If you watched for long enough, for hundreds of years, then it became apparent that the stars were moving slightly out of position each year. The star that was due east at the winter solstice sunset 70 years ago is one degree out today. The Greek astronomer Hipparchus (c. 190-120 BC) is widely acknowledged as the discoverer of the precession of the equinoxes, yet the ancient Egyptians and Maya were also aware of it. Independent researcher (that is, not an accredited scientist) John Major Jenkins has written a long and involved book titled Maya Cosmogenesis 2012 which shows that the Maya not only understood precession, but that their 2012 end-date predicted a special happening in our universe. Our galaxy has a centre which all the stars take millions of years to revolve around, and it is located in the starriest part of the Milky Way, as seen from Earth. On four occasions within the 25,800-year cycle our galactic centre aligns with the sunrise of a solstice or equinox. The last time it occurred was on a fall equinox 6,450 years ago, approximately the dawn of Old World civilizations. On Dec 21, 2012, which is a winter solstice (Northern Hemisphere) this centre will align with our Sun once more. Jenkins presents a mass of astrological, monumental and mythological evidence to show the importance of this event for the Maya, and how their calendar runs out on this day for a reason. Unfortunately he is not sure what that reason is. Maybe the McKenna's flood of change, a global cataclysm or the dawning of the Age of Aquarius? Could there be a new age love-fest in 2012? No one knows when it starts! The twelve zodiacal constellations are of different sizes, and the borders between them are very indistinct. We will be moving into the New Aquarian Age of western astrology sometime within the next 200 years. There is no singular date on which it will happen, just a gradual change. In the same vein we find hidden in the fifth appendix of Maya Cosmogenesis 2012 an admission from Jenkins that. It appears we must look elsewhere for the why and how of what may happen. It is unlikely that the Mayan calendar end-date coincidentally occurs on a solstice, yet a solstice is only an annual position within our orbit around the sun - a solstice on its own cannot change or harm us. I suggest that 2012 is a year that the Maya always knew of, a year in which a cosmic activity will affect our planet. Their choice of December 21 to end the calendar on was chosen only because the winter solstice is the gloomiest day of the year, and the most appropriate day to form myths around.